Isn’t it funny how fate can intervene sometimes? The day I met Niten Anni, I was sitting outside having lunch with filmmaker Shawn Heinrichs in Majuro, the capital of the Marshall Islands. We were visiting the Pacific island country to participate in a training session on marine enforcement and to film a movie about sharks and the Marshall Islands, home of the world’s largest shark sanctuary. While at the restaurant, Shawn and I were making plans to get to the Marshalls island of Kwajalein to see for ourselves whether stories of waters teeming with sharks were true. As we talked, a young man walked by, strumming a ukulele. We learned that he was a Marshallese musician, Niten Anni. I asked him if he would sing a few songs for our video and, lucky for us, he agreed. I met Niten in Majuro. Niten sang several beautiful songs in Marshallese about the surrounding ocean and his Pacific culture. He sang about his home island of Mejit, a distant spot with a population of 300. He sang of the people and of life on the island, and while Shawn and I listened, we were stunned that we had simply stumbled upon him by chance. Sharks have been a part of Marshall Islands folklore and culture for centuries, and people living among the atolls understand that these animals play an important role in ocean and island health. 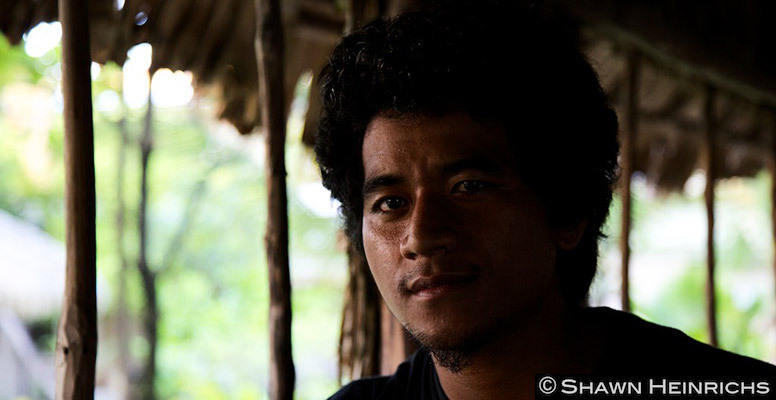 Niten told us that he’s proud that his country has the world’s largest shark sanctuary. He’s proud that it is protecting sharks. My hope is that this sentiment is shared by millions of others around the world and that someday the entire Pacific may sing a similar tune. Published by the Pew Environment Group on October 25, 2012. It is a place where the locals respect the sharks as the creatures are a part of their eschatology and mythology. It is a beautiful song by the way.